Excitement about the potential for robotic process automation (RPA) to transform the workplace shows no signs of subsiding in 2019. What are the significant RPA trends and developments that can be expected this year? 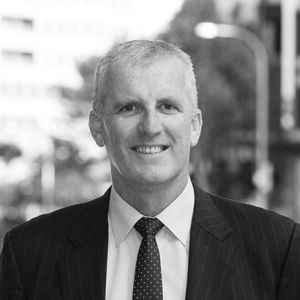 IDM asked Rob Mills, Vice President, Australia & New Zealand at Blue Prism for his perspective. Mills has a lengthy background in enterprise content, collaboration and information governance, and is looking forward to the arrival of true intelligent automation, what Blue Prism calls connected-RPA. IDM: What is RPA and why are large organisations globally embracing it? RM: Blue Prism coined the term Robotic Process Automation (RPA) in 2013 to describe the automation of manual processes by digital workers or software robots. These digital workers mimic the actions of real-life employees by capturing, querying and interpreting data, triggering responses and communicating with other digital systems. Put simply, it’s a digital workforce that offers assistance, opinions and insight to customers, staff and other digital systems. RPA can be used for relatively mundane data entry tasks but it is increasingly being used for more sophisticated processes that would previously have required the perception and judgement of humans when cognitive capabilities are added. This moves us into the world of ‘intelligent automation’ which I’ll explore in more detail later. In terms of why it is being embraced – it is more a question of ‘why not?’. Naturally, deploying RPA can be used for efficiency cost savings, but it can also create considerable value. It drives more accurate, faster and responsible processes which in turn lift the customer experience, aid governance and regulatory process and can even open up additional revenue streams. Today, IT departments often spend most of their budget on maintaining and updating processes and systems, rather than focusing on new initiatives. Blue Prism gives enterprises greater operational agility by providing an intelligent digital workforce capable of self-learning and continuous improvement, empowering users to automate billions of transactions while returning hundreds of millions of hours of work back into the business. IDM: Analysts agree that the market is in hypergrowth mode and that this will continue for years. What is driving this? RM: It is growing exponentially as RPA addresses many of the business processes that have remained outside the scope of the large transformation programs of works that organisations undertake to improve their core platforms and services. When it comes to a business case, RPA offers value across the entire enterprise. For the CEO it delivers increased margins while reducing costs, allowing the business to operate more efficiently; for the COO it’s productivity and better services; for the CIO it’s providing the business with a flexible and resilient digital workforce that they can self-service; the CFO is attracted by reduced operating costs and improved compliance and security; for the CDOs it’s rapid prototyping and ability to leverage and deploy complimentary technologies such as OCR, Natural Language Processing and cognitive services; for the CMO and CCO it delivers a better customer experience by meeting service and response time expectations. Last but not least, it removes the boring and tedious tasks for many employees and allows them to focus on higher value work. IDM: Since opening its first ANZ office in Sydney in April 2017, Blue Prism has expanded its client list to include many of the largest financial institutions and telco brands in Australia and New Zealand, as well as the Federal Government. What are some examples of RPA in action? RM: The range of processes that ANZ organisations are using RPA for is extremely broad. Taking just one sector as an example, you’ll see financial institutions use it for a range of things like the processing of mortgages, loan applications, transfer of funds, customer onboarding and switches of investments. Many of these processes can also be quite complex, with multiple process paths reflecting product rules and compliance regulations and touch dozens of business applications and the impact of an RPA deployment can be nothing short of transformational. For example, one large bank we work with has been able to reduce the time it takes to open a transaction account from six days to just 10 minutes. This time reduction isn’t just due to efficiency – it was also down to governance issues which previously meant two different teams had to be involved. Of particular interest to IDM readers is the fact that capture technologies to classify and OCR documents is on the rise and we expect to see a significant upswing in the automation of processes involving unstructured documentation. RM: Intelligent automation is ‘next level’ RPA and where its future lies. Essentially, cognitive capabilities like sentiment analysis, emotional AI, pattern learning, computer vision, optical character recognition (OCR); visual perception and collaboration can now enable a digital workforce to carry out more complex and sophisticated tasks. For example, a digital worker may use OCR technology to understand a document and the data it contains, and then automatically update the appropriate business applications and communicate robot to robot, robot to person or robot to customer, as appropriate. Natural Language Processing (NLP) along with sentiment and entity analysis, language translation and computer vision will also allow businesses to process documents with unstructured data and images and we see this is a significant opportunity for future applications. IDM: Do you expect we will see a standard emerge in robotics process automation in 2019? RM: We certainly hope so. As it is a relatively new technology category, it can be hard for customers to differentiate between vendors. From a marketing perspective the messaging is very similar, but not all of the vendors have the enterprise grade technology and the experience to deliver. Unfortunately, this can lead to businesses making an expensive mistake and purchasing technology that isn’t fit for current or future purpose. Robotic Desktop Automation (RDA) - in which a human operator initiates a software robot to execute a predefined activity. This assisted automation utilises the credential of the human worker to access software applications. Robotic Process Automation (RPA) – this is autonomous execution of a defined process by a software robot using its own unique system credentials just as a human operator would. Generally, this is done in a server environment on-premise or in the cloud. Unfortunately, the vast majority of organisations that are implementing what they believe is RPA are in fact, implementing RDA. The difference is vast. It would be akin to comparing a mobile phone Business Card Reader App with an enterprise Capture capability, so our advice to anyone considering an RPA solution is to do their due diligence – or work with a channel partner who has! IDM: Why has Blue Prism announced Digital Exchange and what does this mean for adjacent technologies like AI, cognitive and disruptive technologies? RM: The Digital Exchange is at the centre of our connected-RPA vision which aims to gives enterprises a game changing way of staying competitive and accelerating time to market for new services and products by easily accessing and exploiting leading-edge cloud, AI and cognitive capabilities. The equivalent of an Appstore for enterprise automation, it’s a place where our customers, partners, technology alliance partners and development can come together to share and inform - effectively fast-tracking the Blue Prism experience, shortening design cycles and providing insight to the art of the possible. Many of the downloadable assets are focused on AI and cognitive technologies such as OCR, text analytics and computer vision. These assets don’t need any coding or scripting. It is simply drag and drop access to intelligent automation (IA), machine learning, cognitive and disruptive technologies from companies our clients know and trust—like Appian, ABBYY, Google, IBM and more. Consequently, we expect to reduce the knowledge gap and fast track the application of these adjacent technologies.